And I thought I was slow. Be great to see this one finished. What's the latest on the Sabre Clint? Just have to paint it. Cool, can we have a look? Absolutely. Just as soon as there's something to look at. And when might that be? Heck, I'd actually like to get a good look before the paint goes on, always interesting to check out a nice build. It's been primed a couple of times. Lots of sanding to do on this one. Yes, and had to rebuild a few things that just weren't coming out right. Summer business slowed me down on it and right now I'm recovering from some surgery, but I'm thinking some color will be on it come spring. I've lost some close focus in my eyes the last couple years so I'm just not seeing wood surface very well. Clint, I hope you have a good Optometrist to take care of the eyes. What's the latest here Clint? It's ready for basecoat and color. Weather here starting to get good enough to spray outside. Jose Modesto has the original NATS winning F86 and I've asked him for some of the trim details on it, but I haven't heard back from him yet. If youre having Eye Trouble , surely theres somebody in the neigbourhood , district , or STATE that can give you a bit of a hand . ! ? Bob Lampione did a big Pattermaster Based SABRE too , later . Think theres a picture or two on the Flying Lines site . 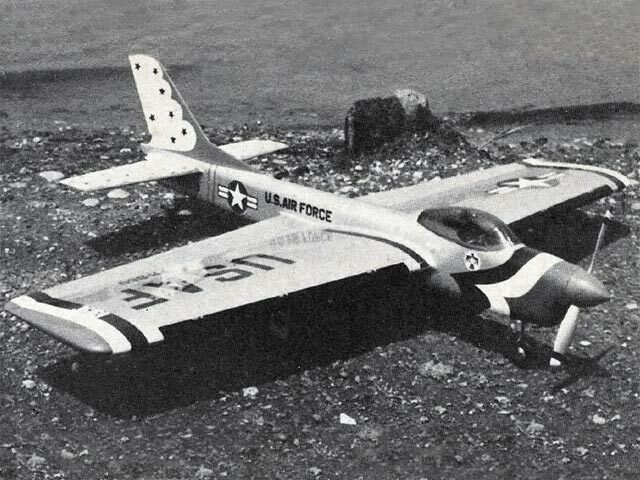 Are there still Model Aero Clubs in your town ? . Closest club to me is the Woodland/Davis Aeromodlers, about an hour away. In my town, I'm a lone wolf. I know the feeling. I'm the lone ranger where I live, too. There are some guys an hour away, but that's it. Same here, and if I haul a-- nonstop our club field is a 1:45 drive north (one way) from my driveway, up I-35 and all the way through Minneapolis. That drive is a great motivation killer. Maybe the three of us should just move closer to each other and start our own club. How ‘bout Idaho?